How can I add, change or remove a testimonial? Please share your flower experience with others! To add a comment/photos, make changes or corrections to a posted testimonial or remove your testimonial from our page, please send an email to marketing@fiftyflowers.com and we will make the requested changes within 7 business days. We ship our flowers with UPS and FedEx, and due to their regulations, we need a valid working phone number in order to ship your product. We also may need to contact you to verify your order information and contact you if we have a problem fulfilling your order. Without a working phone number, we cannot ship your product. Mistakes happen! If you notice one of them on our website, please send us an email at support@fiftyflowers.com. Please click on the My Account tab located across the top of the page. Here, you can log into your account and change your address, change your password, subscribe or unsubscribe to our newsletter, etc. Are FiftyFlowers.com flowers ever dyed or manipulated to obtain more vibrant colors? We do have some products that are spray tinted, dyed, and painted. These products will say this in the product name or in the product description. Tinting and dying is done to create or enhance colors that are not found naturally. However, most of our flowers receive their beauty the old fashioned way…from nature. 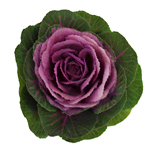 Our natural flowers are never dyed or manipulated in order to maintain more vibrant colors. How many flowers do I need for VIP Guests? 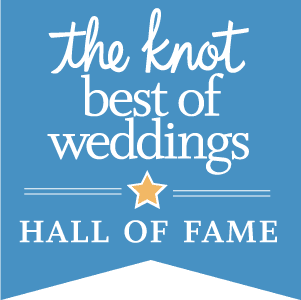 A general rule for non-bridal-party guests that will receive flowers is that men wear a single flower boutonniere and women receive a corsage with 2 to 3 flowers. 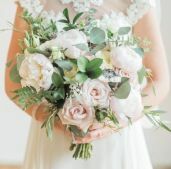 What are the different styles of bouquets? Bouquets come in a variety of styles, the most popular being posy, nosegay, round, hand-tied, cascade, pageant, and pomander. If you copy and paste the following link in your browser, a description of these styles is available. How can I create a larger bouquet or arrangement without spending a fortune? 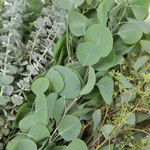 Keep in mind that greenery is an inexpensive way to add volume, beauty and character to any arrangement. 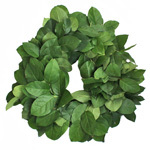 Please click on All Flowers, then on Greens to browse through our wide variety of greenery. How many rose petals will I need to cover an area x large? We pack our rose petals according to weight, not numbers. Each bag weights 200 grams, containing no less than 8 cups and no more than 12 cups of rose petals. Although we don’t know exactly how many rose petals are in each bag, we’ve tested our petals and determined that one bag contains an average of 460 petals, allowing us to offer two packages of 6,000 petals (13 bags) and 12,000 petals (26 bags). One bag will completely cover an area approximately of 19 x 10 inches. 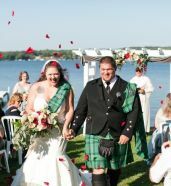 Of course, petals are ideally used when spread out, so the number of bags that you will need ultimately depends on how thick of coverage you like. When you submit an online order you will receive an e-mail confirmation. If you did not receive an e-mail, simply contact us via email at orders@FiftyFlowers.com or give us a call at 1-877-50 ROSES (507-6737) and we can confirm your order for you or send you another email confirmaiton. When your order has been shipped, you will receive an e-mail from FedEx or UPS with a tracking number and link to view and track your package from their websites. Can I order more/less than 50 flowers? All requests to change an existing order must be placed within 7 days of your delivery date. Many of our products are shipped from Ecuador, South America, and are often being processed for their journey several days prior to the delivery date. Once the product has been shipped, changes are not possible. If you wish to cancel your FiftyFlowers.com order please send an e-mail to Orders@FiftyFlowers.com, with the subject heading CANCEL. Please type your order number along with your name and address in the body of the email. You will receive an email notice verifying cancellation of your order within 48 hours. Cancellations are subject to a fee equal to 15% of the total order amount. 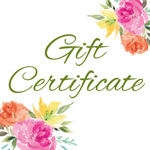 Fiftyflowers will refund the amount you paid minus the 15% cancellation processing fee. Why the fee? We must charge a 15% cancellation fee due to the fact that we are charged a 4% credit card fee each time you charge a card, so we pay 4% of the total order upon processing the order and an additional 4% when processing the refund. Then we have a per transaction fee. Plus between our accounting department and a customer service representative’s time, it takes about 2 hours to process a cancellation request, which is converted into labor costs. Once you add all of this, it actually costs more than 15% to cancel an order, but we consider 15% to be fair. I have been charged twice. Can I get a refund? Chances are that you were NOT charged twice. Many times, when someone is having problems placing an order, they submit their information more than once. We receive these "problem" orders with a red flag, and do not process them without first calling you to discuss the problem. However, all new orders automatically enter into the payment process. This means that all orders will appear on your credit card as "Pending Transactions." These charges are "held" on your credit card, but will not be deducted unless we clear it as a confirmed order. Confirmed orders are charged at the close of each business day. At this time, any pending transactions are released from all banks. This amount should re-appear on your card within 24hrs, depending on your banks policies. However, if you feel that your credit card truly was charged extra, please contact us and we will help you to resolve this issue. All requests to change an existing order must be placed within 7 days of your delivery date. Many of our products are shipped from Ecuador, South America, and are often being processed for their journey several days prior to the delivery date. Once the product has been shipped, changes are not possible. Changes are subject to a $15 fee. The best way to place your order is via our webpage. This way, we receive your information exactly as you enter it. However, if you need assistance in placing your order, we do take orders over the phone and via chat or email. 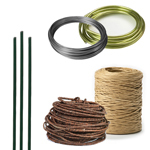 We do not offer samples, as smaller quantities in a box could become damaged during shipping, but there are various ways to place a sample order. We recommend ordering a small package of flowers for a prior event, such as a bridal shower or birthday party. This allows you to practice with the flowers as well. 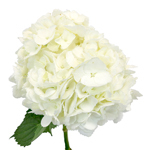 Many of our popular flowers, such as roses, garden roses, hydrangeas and carnations come in packs ranging from 20-50 stems. Plus we offer some centerpieces and gift arrangements in small quantities and even quantities of 1, so you can essentially order a sample centerpiece. 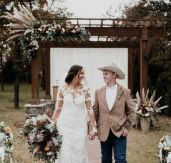 In addition, we recommend you check out our flower stories so you can see what past customers have said about our flowers and see them used in real events. And speaking of flower stories, if you place an order for a prior event or even just a test run, take some pictures, share your story, and we will send you a 15% OFF discount code to use on a future order! At FiftyFlowers.com, we view your event as extremely important! 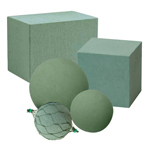 We offer a 100% guarantee on all of our products. 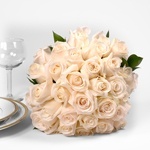 We suggest you place your flower order at least two weeks to one month prior to your event. Next day orders may be possible depending on flower variety and availability. However, ordering in advance locks in current prices and improves availability chances. Orders come on a first come, first serve basis. The earliest orders will be fulfilled first. This is very important if a specific variety sells out. Waiting to the last moment could risk that we are sold out of the specific flower you need. After we receive your order, a customer service representative will call you to verify your order. Most importantly, ordering in advance allows you to check this task off your to-do list! We accept all major credit cards, including Visa, Mastercard, American Express and Discovery. We also accept payments via PayPal. If neither of these payment options work for you or your company, please contact us at 1-877-50 ROSES (507-6737) to discuss other less common payment options. Can I have another copy of my confirmation emailed to me? When you submit an online order you will receive an e-mail confirmation. If you did not receive an e-mail, simply contact us via email at orders@FiftyFlowers.com or give us a call at 1-877-50 ROSES (507-6737) and we can confirm your order for you or send you another email confirmaiton. We currently offer some beautiful arrangements delivered directly to the recipient in a box, with the option to include a vase. Since our arrangements are made fresh at the farm, they come packaged so that the recipient only needs to remove the arrangement from the box, recut the stems and place them in a vase filled with fresh water. To view our selection of arrangements, please click on the Arrangements link on the left hand column of our homepage. 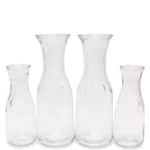 We also offer already assembled wedding table centerpieces! To browse through our selection, please click on Wedding Flowers, then Centerpieces. FiftyFlowers.com will try to accommodate all special requests. Please contact us at orders@fiftyflowers.com or at our toll free number 1-877 50 ROSES (507-6737) with the exact details of how many stems of which flower you would like to order. A team member will answer your request within 24 hours (1 business day) and assist you in placing your order should it be possible to fulfill. Do you have a product catalog that you can mail me? All of our sales are conducted via the internet. Our webpage serves as our catalog. We do not offer hard copies. Please visit our webpage to view all our flowers packages and pricing. If you are looking for a particular flower and can’t find it on our page, please contact us at orders@fiftyflowers.com with the flower name and the number of stems that you want. 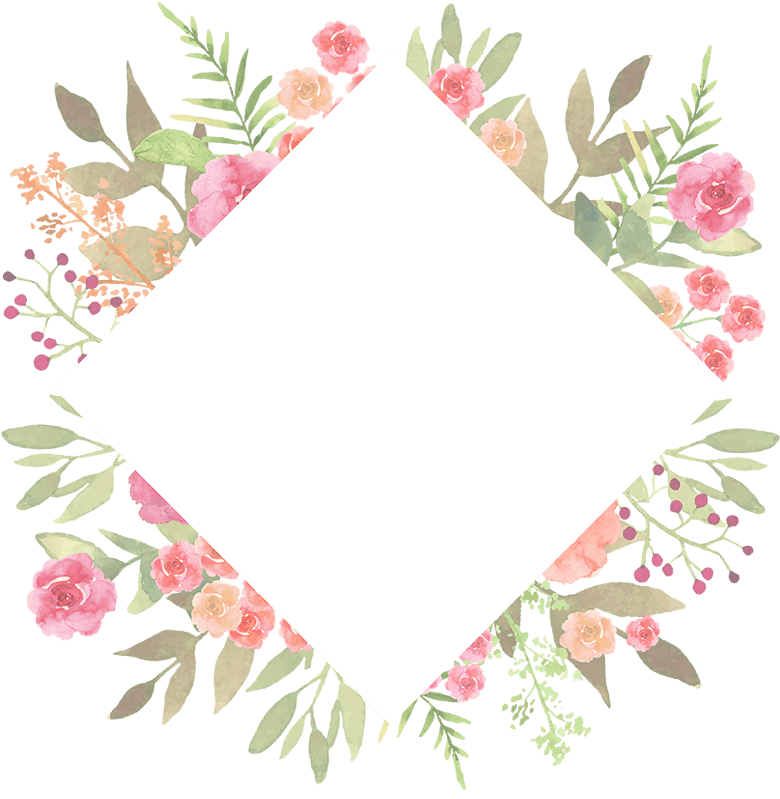 Since we are constantly in the process of expanding our product selection, we may in the process of adding this flower, but not yet ready to post it to the page. How do I pay for my flowers? We accept all major credit cards, including Visa, Mastercard, American Express and Discovery. Our system will accept all credit cards and check cards with one of these companies logos on it. We also accept payments via PayPal. Due to the fact that we ship internationally, we cannot offer COD or POs. Find the flowers that you want in the Main navigation on the left hand side of the page. The Best Sellers is a good place to start. 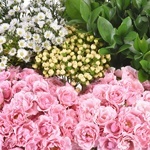 You can also shop by flower type, flower color, and by pre-arranged designs. 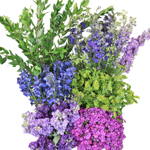 Once you have found the flowers you want, select the quantity and a shipping date by clicking on the calendar and selecting an available date. Then add to cart. Your cart will be saved for 15 days. If you would like to keep your items longer, we suggest you save them to "my favorites", which will be saved forever, as long as you are signed into your account. You can do this easily by going to Review Cart and clicking on Save This Cart, all items will automatically be added to "My Favorites". You can also add products directly to "My Favorites" by clicking on the heart icon on each product. What does it mean when the water in the vase becomes yellow or filmy? If the water in your flower vase becomes discolored you have not correctly prepared your vase water with the flower food packets enclosed in your shipment. Flower food inhibits the growth of mold and bacteria in your vase water, and prevents the common bacteria growth you would encounter with regular tap water. However, if this has occurred, simply discard the filmy vase water, re-cut your flower stems, and prepare your vase anew according to the directions printed on the flower food packets enclosed with your FiftyFlowers.com roses. How long will my flowers last with proper care? Your FiftyFlowers.com roses are fresher than the flowers available in the local florist or supermarket. 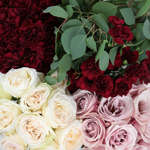 Since you have purchased FiftyFlowers.com roses directly from the grower, your flowers were cut, packed, shipped and delivered directly to your doorstep  with no interruptions or middlemen. The normal distribution process for flowers from other sources can take up to 15 days or more, but with FiftyFlowers, your flowers are guaranteed to be no more than 3-4 days old. If you follow the care instruction card enclosed with your shipment, your flowers can last as long as 2 weeks in top form. My flowers have wilted/turned brown, is there anything I can do? Unfortunately, after a period of time fresh cut flowers will begin to wilt. 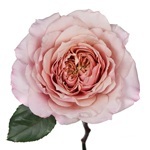 However, with FiftyFlowers.com roses shipped direct from the grower, you can expect your flowers to last up to two weeks in top form. If your roses have wilted, or been accidentally placed in direct sunlight for a long period of time (cut flowers tend to last longer in cooler conditions), you can immerse them in a sink full of warm water for 1 to 2 hours, giving them the opportunity to replace any moisture loss they've undergone. If your flowers have turned brown around the edges, simply peel off the offending petals carefully, re-cut the stems, and replace in fresh water. Are FiftyFlowers.com roses the same quality roses I would receive from my local florist? FiftyFlowers.com flowers are of the same quality and size that your florist sells for double, or sometimes triple the price. In fact, FiftyFlowers flowers are fresher, and therefore are most often of better quality than any flower you could purchase at your local florist. However, due to shipping constraints, 1-2 flowers per bunch may arrive bruised or damaged and may require additional TLC. It is also important to keep in mind that if you order bulk flowers, your flowers will arrive just as they would to a florist, without being prepared. You may have to remove foliage, guard petals, brown petals, thorns, etc... just as if you were your own florist! With the proper care and a little creativity, your FiftyFlowers will become the life of the party! Are orders really guaranteed 100%? Please remember that flowers are highly perishable, time-sensitive products. FiftyFlowers.com will not be responsible for damages resulting from inclement weather or freezing temperatures due to an extended absence on behalf of the customer. FiftyFlowers.com is further released from responsibility due to delays on behalf of the shipping companies, delays caused by Customs and Agricultural inspections, and acts of God. 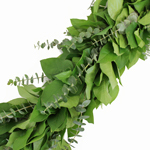 Ultimately, FiftyFlowers guarantees satisfaction in all of our products. If you are unsatisfied with your order, please contact us IMMEDIATELY at 1-877-50-ROSES (507-6737) or send an email to cservice@fiftyflowers.com. Complaints must be received within 24 hours of receiving the flowers. We will gladly work with you to solve any problems and/or concerns. Will you run out of flowers? Because we are a sister company to a much larger flower exporting company which ships hundreds of thousands of flowers on a monthly basis, we will not run out of flowers. Yet, specific varieties may be limited due to high demand or seasonal availability. 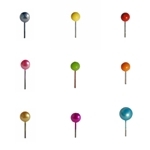 If we do not have the specific variety that you ordered, we will call you to discuss alternative varieties and/or colors. We will never ship flowers that you have not ordered without first receiving your permission. What is the difference between Mini and Standard Calla Lilies? Size and color make the biggest difference between standard callas and mini callas. Mini callas are much more dainty flower, with stems averaging 11 to 19 inches in length and an average flower head size of 2.5 to 4 inches. Comparably, standard callas are a longer stemmed, bigger flowers with an average stem length of 27.5 to 35 inches long. While mini calla lilies come in a variety of colors, standard calla lilies are limited to natural colors of white, green and white blush. 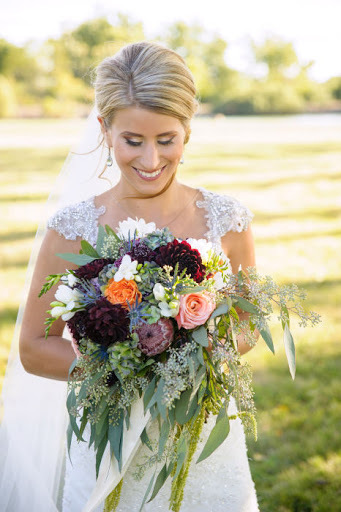 Will my flowers be the exact color as the image shown on the page? Our picture depicts the flower as true to color as possible. However, if you are trying to make a 100% match and are very particular about matching it, several factors may make this extremely difficult to do. Firstly, your computer monitor’s settings may cause the image to appear slightly different than the original photograph. Secondly, flowers are a living creature affected by Mother Nature. Flowers tend to change tones according to the weather. If it is very sunny, they will be somewhat softer in color. If it is rainy, they will be darker in color. For example, our blush calla lilies show just a hint of blush in the springtime yet have much more of a “blush” tint to them in the autumn due to the hotter and colder growing conditions. For this reason, it is impossible to fully guarantee that the color of a flower you see today will be the exact color in 6 months. Keep in mind, the color variations are not drastic. It is the color’s tone that varies. 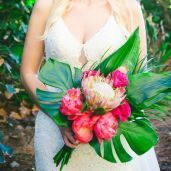 If you are concerned about matching your wedding dress or bridesmaid’s dresses precisely with one of our flowers, this is highly discouraged. For assistance with exact color match, please call us directly at 1.877 50 ROSES (507.6737) or email us at cservice@fiftyflowers.com. My flowers are still closed and my event approaching fast! What can I do? If your event date is nearing and your flowers are slow to open, there are several tricks that will help them open rapidly. First, you can add sugar into the water mixture. No more than 1 teaspoon of sugar should be placed in each liter of water. Secondly, warm temperatures and natural sunlight will help the flowers open and liven up. Do not place them directly under heaters or in warm drafts. These two suggestions should do the trick to provide you with beautiful blooms in time for your event! My flowers are opening too fast! What can I do? 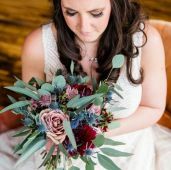 If your flowers are opening too fast and you fear that they will pass their peak by the time your event takes place, there are several tricks that will help them to slow down the opening process. First, make sure your flowers are in fresh, cool water. Secondly, place them in a cool, but dry area. A cool refrigerator would be nice, but is not necessary. If placing them in the fridge, remove all fruits and vegetables! The chemicals they admit can harm the flowers. Be sure not to freeze them or place them directly in cold drafts (ie, in front of the air condition vent). Finally, keep the flowers in a fairly dark location out of direct sunlight, such as a garage or basement. These suggestions should do the trick to provide you with beautiful blooms in time for your event! How do I care for my delicate Hydrangea flowers? 1. Remove flowers from box by cutting any straps. Do not remove the rubber bands holding the flowers together in a bunch. 2. Fill 2 containers one with at least 4 inches of fresh, cool water and the other with warm water. 3. 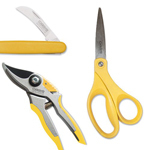 Using sharp scissors or a knife under running water, cut the stems diagonally approximately an inch from each stem’s bottom edge. 4. Immediately after cutting, place the stems in the prepared warm water for approximately 5 seconds then place the flowers into the cool water. 5. Remove any fading petals. It is normal to find several fading petals, all of which can be easily removed without damaging the Hydrangea. 6. Keep flowers away from direct sunlight, drafts or excessive heat. 7. 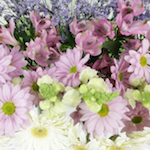 Allow your flowers at least 4 hours to properly hydrate before arranging. 8. Change water and re-cut stems every 24 hours to keep flowers fresh. Assure that your flowers have sufficient water. The flowers will drink an exceptionally large amount of water upon arrival. To refresh the flower, dunk the entire flower head in cool water for approximately 20 minutes. Hydrangeas are also great for dried arrangements. To dry them, simply hang them upside down, preferably in a warm place for a few days. 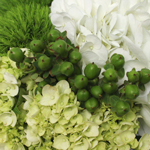 Hydrangeas may lose a little color in the process but the dried flowers will last for eight months or longer. Do you conduct quality assurance tests? 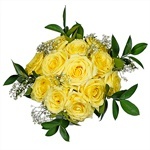 FiftyFlowers.com conducts varies studies in order to assure that high-quality flowers are delivered to its customers. We conduct ongoing blind test orders, examine customer service reports, study customer comments and suggestions, and track customer-representative conversations and interactions. I am missing some of my roses. What do I do? All of our flowers are bunched in 25 stems. It is impossible to receive an incomplete bunch. Our roses are layered in 2 rows - when you look directly down at the bunch you will count only 12 roses, but in an inner layer are the remaining 13 roses. Please count the stems if you would like to double check. 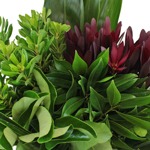 This is a standard way of bunching flowers so that they travel safely and arrive ready to bloom. How do I care for my rose petals? 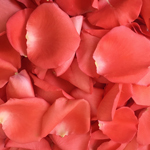 For rose petals, it is best to choose a delivery date 1 to 2 days before the event. For example, choose a Thursday or Friday delivery date for a Saturday event. Upon arrival, open the box and inspect the rose petals. If you will be using the petals in the next 48 to 72 hours, leave the petals in their packaging and store them in a cool dry place. There is no need to store them in the refrigerator. Our rose petals will last over 72 hours without refrigeration. On the day of the event, open each bag and arrange as desired! Why are my roses wilted, not bloomed or look bad on the outside? 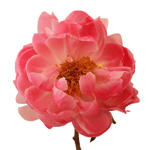 Our roses are shipped in bud form without being groomed, so their guard petals are included. Fresh-cut bulk roses must be groomed upon arrival. 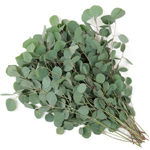 This includes cutting the stems, hydrating them in water, and removing all foliage and guard petals. Guard petals can appear brown, deformed or just ugly. These petals must be removed. In fact, a florist will remove 5 to 10 petals per rose before selling them to the general public, so do not be alarmed if you must pluck the outer layers of petals before you have a beautiful rose! If you continue to doubt the quality of your rose after removing the guard petals, please know that we will need to see the flowers in order to diagnose the browning of your roses. Please send digital pictures of the flowers to orders@fiftyflowers.com as soon as possible. This is the standard procedure that we must follow to issue claims with the farm. As soon as we receive the pictures, we will call you. How do I care for my tinted flowers? The tint will NOT rub off of our tinted flowers. However, the color may leave the flower throught open cuts in the stem, including the open sore where leaves may have been removed. For this reason, it is important to wear gloves while preparing and arranging tinted flowers. This tint may stain skin, hands and fabric. The tint seeps more easily when the stem is wet. Also, the tint will affect the natural color and quality of the leaves. 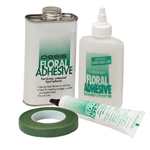 Depending on the flower, you may choose to remove these leaves, which is quite normal for many of our tinted products. Once placed in water, the tint will affect the color of the water. This is absolutely normal. Simply change the water at least once per day to keep your flowers fresh. The color of our tinted flowers may vary to some degree. Flowers react differently to tints. Some petals may not absorb the tint 100% and the color may be darker on some petals than on others. 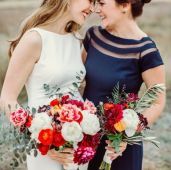 How many flowers do I need for a bridal bouquet? Bridal bouquets come in all sizes and styles. If we categorize them as simple, standard and large, then a standard bouquet averages 15-20 flowers. Of course, this depends on which layout you will use, the flowers you choose, the amount of greenery you use as well as your personal tastes. If you browse through books, magazines and the internet and find a bouquet that you love, we can help you determine which flowers they use and the number you will need! Do you ship your flower using water tubes? Over 90% of our bulk flowers are not shipped in water tubes because we use a different hydration method to prepare your flowers for their journey that does not require water tubes. Prior to leaving the farm, our flowers properly hydrated with a solution that keeps them at an ideal condition during their 1-4 day journey in refrigerated vehicles. Yet once they are removed from these environments and arrive to your doorstep, further immediate steps are required to ensure a healthy flower. Please make sure that when you receive the flowers to follow our Care and Handling instructions outline and easy step by step process on re-hydrating the flowers. Why did my flowers arrive without flower food? We do not provide flower food regularly with our flowers. Since our flowers are shipped directly from the farms, we have chosen not to include flowers food due to agricultural inspections. Flower food is not 100% necessary to add to the water, yet it will extend the vase life of your flowers. Our flowers have been properly prepared for their journey. The most important steps you can take to ensure long-lasting flowers are to follow the care instructions lists on each flower’s page of our website, which includes cutting the flower’s stem diagonally and placing it in fresh cool water. However, if you would like to use flower food, you may find it at your local garden center, florist or grocery store. Do I need to keep my flowers in a refrigerator? We recommend not refrigerating the flowers because if the temperature of the refrigerator varies, the flowers can become damaged. Our flowers have been specially prepared for room temperatures. We recommend that you allow your flowers to hydrate in a cool and dry place away from sunlight, such as a basement or an air conditioned room with the blinds drawn. Yet, if you choose to place the flowers in the refrigerator, please make sure that you remove all fruits and vegetables. The gases that fruits and vegetables emit may damage your flowers. We ship our flowers priority overnight with FedEx and UPS. In most areas FedEx and UPS priority overnight services are guaranteed by 10:30AM. Please contact FedEx at 1.800.GO.FEDEX or UPS at 1.800.PICK.UPS to confirm what time they guarantee delivery for your specific zip code. Do you deliver to Hawaii, Alaska, Canada, Puerto Rico? We do ship to Hawaii, Alaska, Canada & Puerto Rico. However, we may not be able to ship all items offered on our page. When shipping to Hawaii, Alaska, & Puerto Rico, a $45 shipping fee will be added to each box of flowers; Canada orders incur a 40% charge. This will be added to your order during the checkout process. 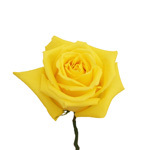 Please contact us at 1-877-50 ROSES (507-6737) to confirm the product as well as the shipping fee. We do deliver on Saturdays. However, there is an additional $25 shipping fee for Saturday delivery. This amount has been determined by our shipping agencies and must be applied to each box required to fulfill your order. How many days does it take to ship my flowers? Most of our flowers are shipped directly from our Ecuadorian farms. It takes 4 days to process and ship flowers to your doorstep. Four days before your order is scheduled to be delivered, your flowers are cut, packaged and sent to the airport in Quito, Ecuador. Three days before the order arrives, it flies to the United States where it is inspected by US customs. Two days before your order is delivered, it travels from US customs to either FedEx or UPS. Here, it will connect the day before it is scheduled to be delivered to you. As soon as your order connects with FedEx or DHL, you will receive an airway bill with a tracking number emailed to the address you provided on your order form, usually 1 day before your flowers are to be delivered. 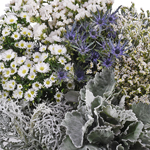 Not to worry, your flowers are specially prepared for their journey and are kept fresh in refrigerated trucks! How do you get fresh cut flowers to me in 1 day? We ship our flowers directly from our Ecuadorian, Colombian or Californian partner flower farms. If you request next-day delivery, you will receive them from one of our domestic locations. This does not mean, for example, that your Ecuadorian Roses are not from Ecuador. Instead, we keep a steady supply of fresh Ecuadorian and Colombian products arriving to a hub location within the United States so that we can process next day deliveries. However, we cannot gaurantee to have all of our products in stock within the United States. It is always best to place an order at least 1 week before you want your flowers delivered. Do you deliver to countries other than the United States? We currently ship only within the USA, Canada and Puerto Rico. Unfortunately, the logistics to ship fresh cut flowers to other countries without them arriving damaged are not in place. We have investigated into shipping to other countries, but it has proven too difficult to provide fresh products. Flowers are too perishable and would arrive damaged. Another factor influencing our decision is that each country has its own agricultural import rules, often creating problems and delays. Due to these factors, we lose control of our 100% guarantee that your flower will arrive in beautiful condition. We have chosen not to ship to other countries in order to guarantee the quality of your wedding flowers. Unfortunately, we do not offer same day deliveries; however, we do offer next day delivery on most of our products. Next day delivery cut off time is noon EST. Need to know if this service is available on a specific product? Visit the product page and click on its calendar to see if next day delivery is available. If you still have questions, please contact us directly at 1.877 50 ROSES (507-6737) or send us an email to cservice@fiftyflowers.com. Unfortunately, we do not make deliveries on federal US holidays, or the following day. Neither FedEx nor UPS make deliveries on such holidays. Plus they do not pick up the boxes, and since we ship using Priority Overnight, any deliveries for the day following a holiday are impossible as well. If you are having problems selecting a delivery date, please contact us at 1.877 50 ROSES (507-6737) or email us at cservice@fiftyflowers.com and we will assist you in choosing the ideal delivery date for your flowers. Can I request a specific hour to have my flowers delivered? Unfortunately we are not able to promise an exact delivery time. We ship our flowers with Priority Overnight with either FedEx or UPS. This service has an estimated morning delivery time of 10:30 AM. Of course, you may receive your flowers sooner if you are at the beginning of the driver’s route, or later if you are near the end of the route. The night before your delivery date, you will receive an email with the tracking number corresponding to your order. Please contact FedEx (1-800-GO FEDEX) or UPS (1-800-PICK UPS) for a more exact estimated delivery time to your address. If you would prefer to hold your flowers for pickup at the nearest FedEx or UPS facility, we can help you coordinate this. Please contact FedEx (1-800-GO FEDEX) and/or UPS (1-800-PICK UPS) to find out which station is closest to your address, and also ask them about their hours for package pickup. Please be aware that the courier may require a photo id of the person picking up the flowers and compare it to the name on the package. If you would like for someone other than yourself to pick up your flowers, be sure to ask what information the courier requires. Then, if picking up your flowers at the location is what you would like to do, contact us and we will help coordinate your request with the courier. When should I have my flowers delivered? Each flower has an ideal delivery date. When browsing through our website, you can find these dates on each flower’s specific page. 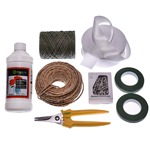 Scroll past the green "Add to Cart" button, and the similar products suggested for the flower. Directly under this is a set of tabs with information about the flower. Please click on the Shipping Information tab. The first sentence will suggest the ideal delivery date for this particular flower.